With his three goals against Arsenal on Sunday, Sergio Aguero became only the second player to score 10 hat-tricks in the Premier League. Aguero scored all of his side's goals in a 3-1 home victory that took Manchester City to within two points of leaders Liverpool. The feat also brought the striker to within one treble of the Premier League record held by Alan Shearer, who will welcome the day the Argentinian beats his mark. When asked whether he would be happy for Aguero to surpass his hat-trick record, Shearer said: "Yes, I will, because there is a respect there. He will break my record." Aguero now boasts 14 hat-tricks for City in all competitions and with 157 goals, lies eighth in the list of all-time Premier League goalscorers, only five behind Jermain Defoe. 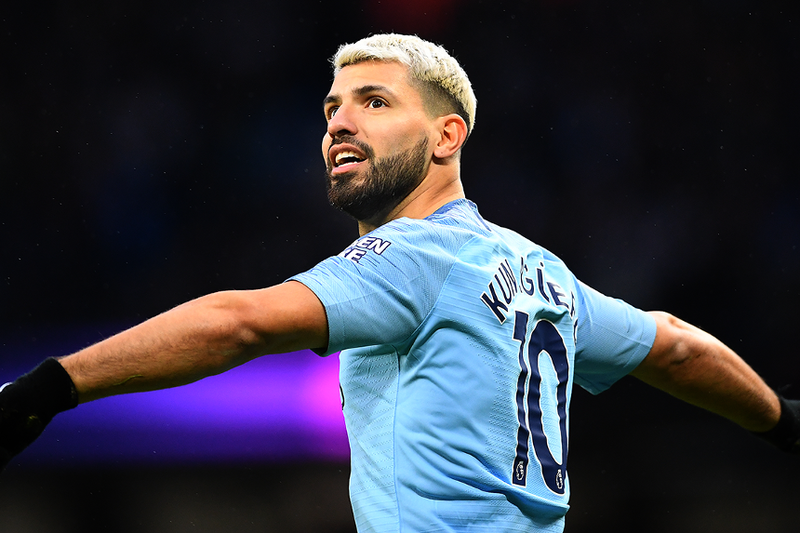 Five of his 11 PL trebles have come in the last two seasons, under Pep Guardiola's management, and Shearer believes the City manager has taken Aguero's game to a new level. "He has made him a better player," Shearer says. "He is just phenomenal, a very good team player also. "I am a huge fan. I can't see how you can't be because week after week, month after month, year after year, he delivers, and that's what you need from big players." Sunday's treble came in Aguero's 227th PL match but is four more than Shearer required to reach his mark of 11 hat-tricks.